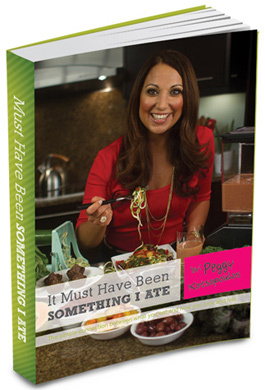 Thank you to everyone that entered comments for "It Must Have Been Something I Ate" book giveaway. I loved reading them all. The 50 comments were entered into a computerized random drawing this afternoon and Kaily is the winner:) Congratulations! I know you are going to love this book and the Vega samples. Thank you again to the Vega Team. If you want to purchase this book or try Vega products go to Sequel Naturals. I hope everyone has a wonderful, healthy and safe 4th of July weekend. Watch for a new yummy recipe coming up next week. I'd rather have won the Key Lime Pie! When are you going to giveaway some of your homemade treats?! Shen, you are so funny:) I will have to do a giveaway with some treats that will travel well. Do you have any recommendations? You don't think the Key Lime Pie would travel? Maybe in winter for that one. Any muffins/cookies would be a great giveaway. Yaaay! So excited! How do I redeem my wonderful prize? Kailey, Congratulations:) Will you please email me with your address and I will send the book and samples right out to you. I have been waiting to hear from you-YEAH!! Email to thehealthseekerskitchen@gmail.com I know you will enjoy this book and the samples.